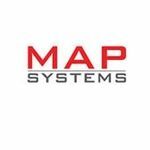 Map Systems, since its inception in 1993, has registered steady growth. Based in Bangalore, the company is reckoned as one-stop reliable service provider for global businesses. This phenomenal success can be attributed to our passion of offering cutting-edge services in competitive manner. The ambit of our services covers prepress, eBook conversion, flash to HTML 5 conversion, Archiving, 2D graphics & animation, image editing, video-editing, 3D modeling, 3D rendering, animation, VR and AR. We owe our success in all these to strategic decisions, contemporary and advanced technologies,analytical approach and consistent value addition to our skills, professionalism, ethical conduct, Customer consciousness and bespoke services. Our company efficiently delivers each aspect of service and being comprehensive in the provisions is what we strive for. We stay consistent and professional in our approach why being transparent in our dealings. MAP Systems has always embraced highest standards of integrity and workmanship.